B9Creations products won’t do you any good if they’re sitting in our factory! We want to make it as easy as possible for you to own a 3D printer and 3D scanner and invest in your business with the productivity that B9Creations products bring. That’s why we offer many financing options for our customers – so you get the payment that fits your business and budget. You can sign up directly from our website, fill out a simple form, and receive approval within a day. Apply in 3 minutes with our instant application, a process as painless as our printer is to use. "I was hesitant in getting another printer. I wanted easy set-up, no fussy calibration, and reliable printing. I've had the B9 Core 530 and absolutely love it. You can literally set it up and start printing in 15 minutes! You don't need a separate computer to run it. You transfer files via WiFi (or USB stick). I've been happy, happy, HAPPY." 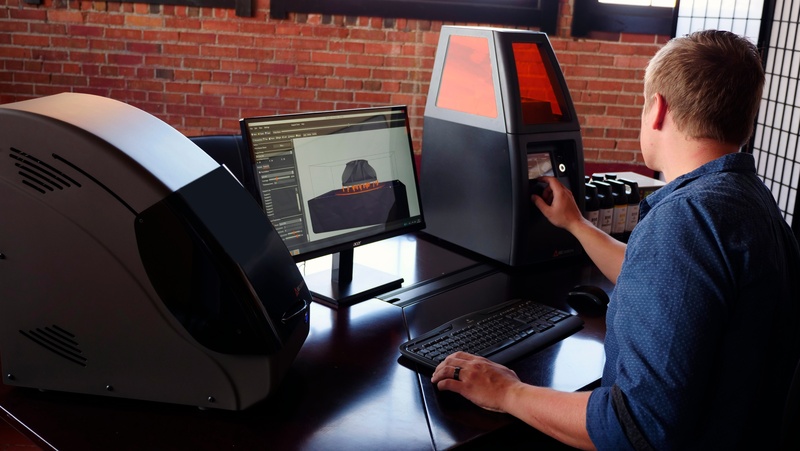 There are countless advantages to using financing for our 3D printers and 3D scanners. With no money down and no full payments for 6 months, you can purchase your B9Creations machine today without impacting your cash flow. And with a tax deduction that pays you, it’s no wonder we’ve got customers raving about our financing. Wait, $0 down and no full payments for 6 months? For the first six months, you’re only required to pay $49 a month – equivalent to 10 cups of coffee – to see your 3D printer in action! Get 100% funding from Direct Capital with $0 down. Keep more cash in your pocket, with flexible terms and without having to fuss over your finances. Did someone say tax deductions? The Section 179 deduction of the IRs tax code allows businesses to deduct the full purchase price of qualifying equipment assets and/or software purchased or financed during the tax year. Section 179 primarily applies to new and used assets like machinery, tractors, trucks, technology and software, and other similar equipment, allowing up to $500,000 to be deducted. You can fully deduct your 3D printer purchase price from your gross income for the tax year, saving yourself over $3,000 on your equipment purchase. 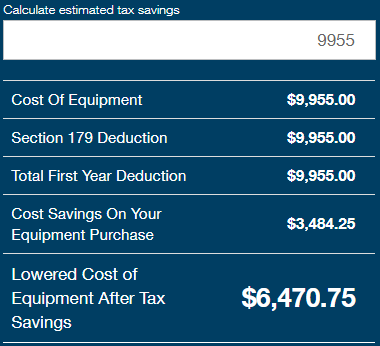 Use Direct Capital’s Savings Calculator to see how much you could save with the Section 179 Deduction. What about a payment penalty? We understand. It’s hard to be held down by interest and payments, and sometimes it doesn’t seem like it’s worth the hassle. Banks can bind customers to their financing with charges and outlandish interest rates, especially when their customers are able to pay more than the minimum payments. But Direct Capital has a different approach. You can pay off your financed equipment at any point, with no charges associated with your remaining balance. That approach is just an extension of the customer-comes-first mentality you've come to expect from B9Creations. If your company is looking for a way to integrate the B9 Core Series or B9 Scan 350 into your workflow, our financing option through Direct Capital is a great solution. No ifs, ands, or buts about it. Calculate your savings and request a quick financing quote from Direct Capital.